Congratulations to Peyam, left, owned and loved by Sven Tennert and the other siblings, Perschad Zyba, Piran, Piruz, Perviz, Perysa. We miss Pary and Pervin since they have gone over the rainbow. Anisa och kompisarna i vårsolen! 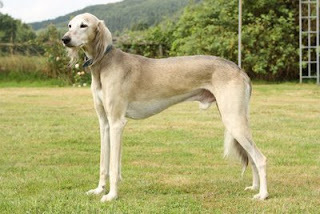 Jariya will be grandmother to an exiting litter! Jariya's son Grassland SJ Atreyu!